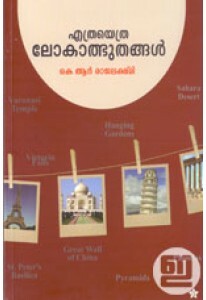 A book on wonders of the world. 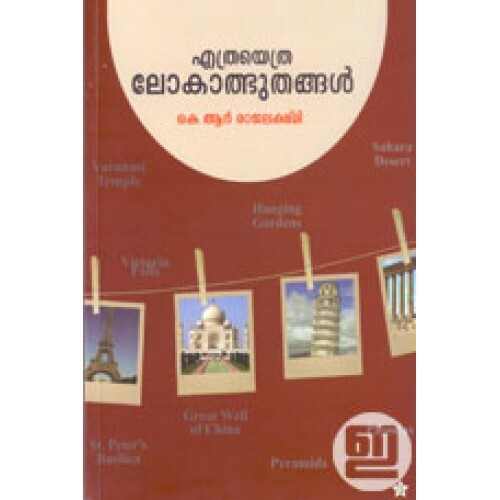 'Ethrayethra Lokathbhuthangal' has essays on 49 wonders including China's Great Wall, Acropolis of Athens, Amazon rain forests, St. Peter's Basilica in Vatican City, Golden Temple in Amritsar, Delphi in Greece, Sahara Desert in Africa etc. This book also has many photographs.